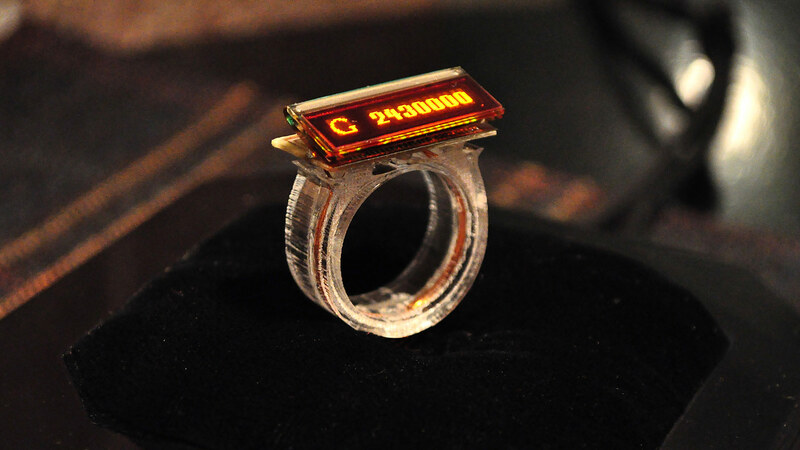 The Vanity Ring shows the number of Google hits, you receive, when you search for it's wearer's name. Rings are well known status symbols, and the included jewel's weight in carat is a comparable value for the personal ranking of its owner (the largest two diamonds are in the British crown jewels). The Vanity Ring doesn't have a jewel, instead it shows the number of hits one gets, when he searches Google for the name of the person who wears it, a more adequate value in our time. 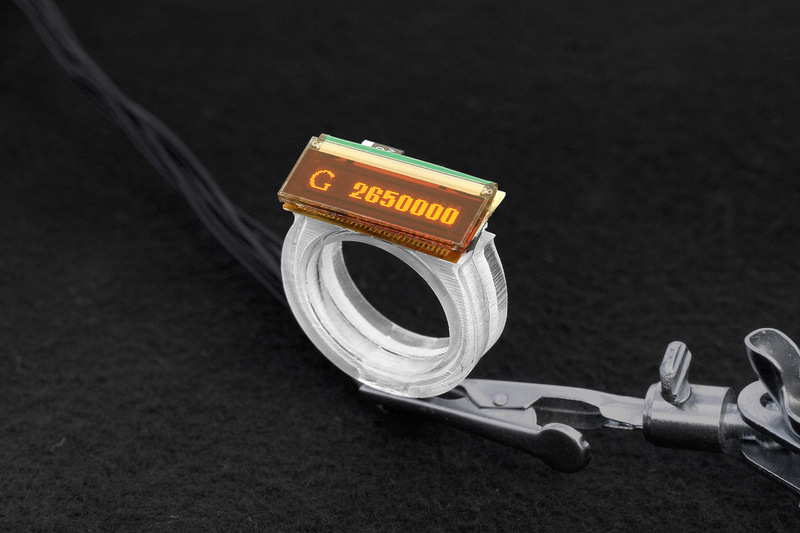 It is personalized using a custom software, and after the name is typed the ring will change its display to show the personal attention carats, while every night, when it is inserted into its docking station the ring is reloaded and updated. Vanity Ring is a closed medial circuit project, where the ring has influence on the mass media and the other way round. Developed in the Digital Media Class at the University of the Arts Berlin. 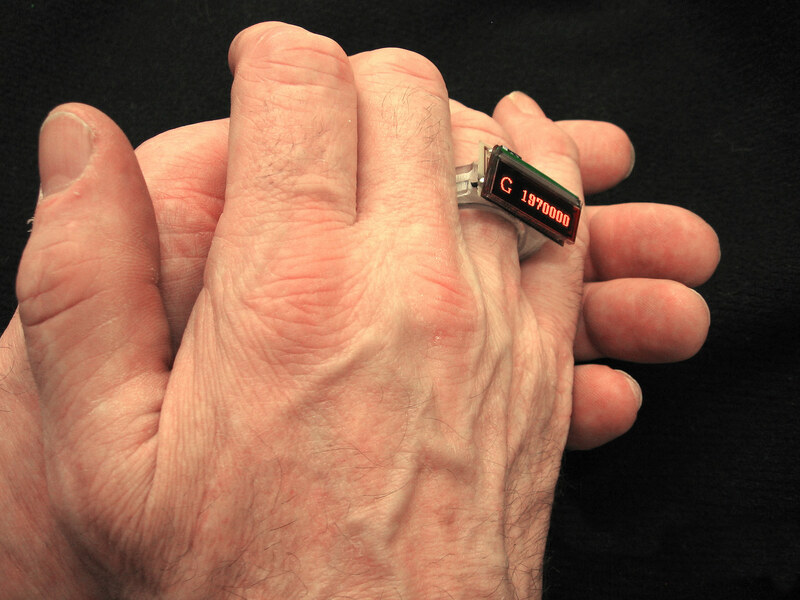 Visitors were invited to enter their names and personalize the ring. The CharmingBurka deals with Freud's idea that all clothes can be positioned between appeal and shame. The Burka was chosen, because it is often perceived in the west as a symbol of repression. A digital layer was added so that women can decide for themselves where they want to position themselves virtually. 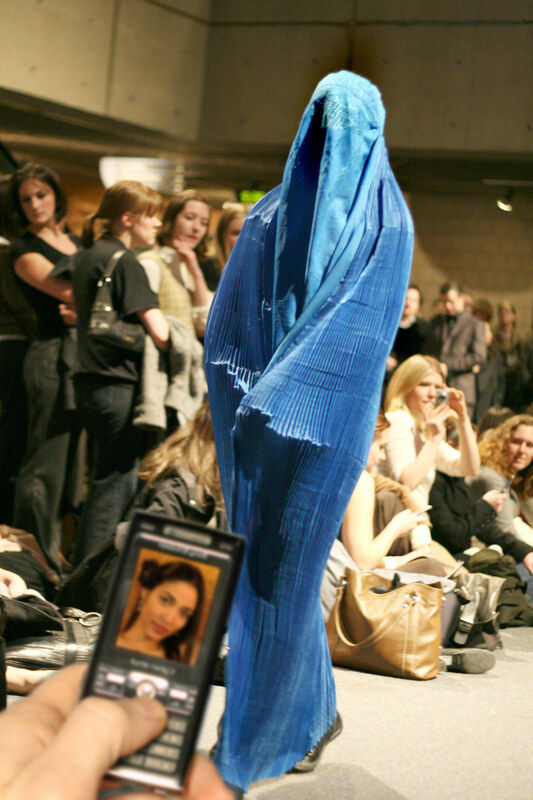 The Burka sends an image, chosen by the wearer, via Bluetooth technology. Every person next to her can receive her picture via mobile phone and see the women's self-determined identity. In the artists interpretation the virtual appeals can not be gathered by the laws of the Koran and so the Charming Burka fulfills the desire of living a more western life, which some Muslim women have today. Therefore the Burka is equipped with bluetooth antenna/micro-controller and uses the OBEX protocol, already working with most mobile phones. The wearer may turn the system on whenever she wants to send the image.medial circuit project, where the ring has influence on the mass media and the other way round. The Gospel according to John (chapter 19, verse 20) tells that the inscription Jesus of Nazareth, King of the Jews was written in Aramaic, Latin and Greek. 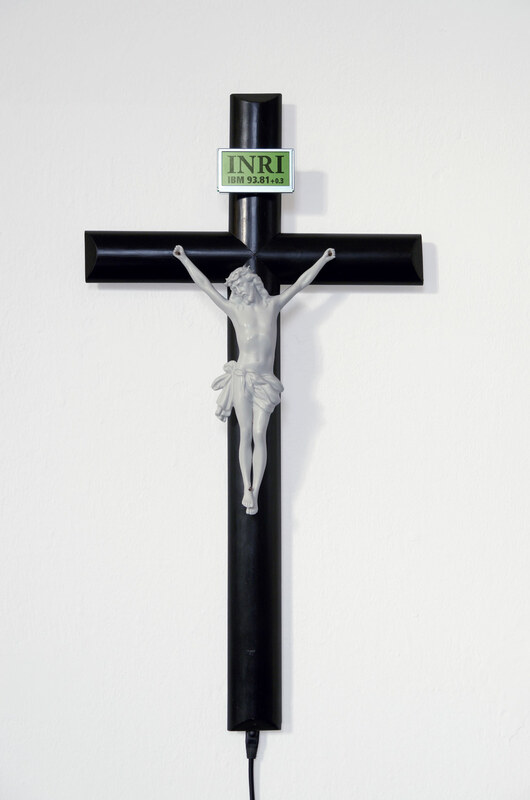 Because of shortage of space this was abridged to INRI. 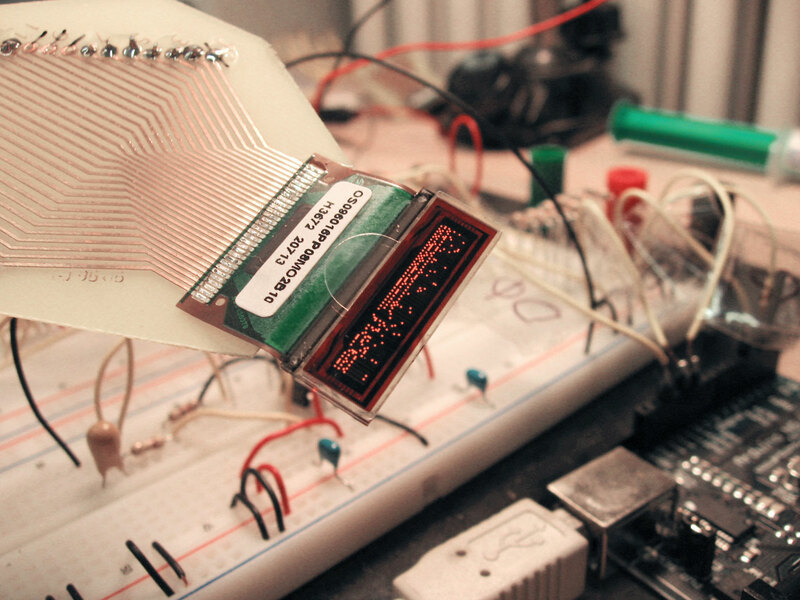 Now, by using an LCD display and a ticker, the whole text can be shown. Additionally the actual stock exchange prices of the shares, the Vatican owns, are shown in another ticker below the INRI inscription. The cross is connected to the internet via a LAN cabel.